Pitch Perfect is a 2012 musical comedy movie that tells the story of the Bellas, an all-girl a capella group in college that wants to win the international championship. The movie title on the poster was designed with Compacta Regular, with slight modification on letter “P”. Compacta designed by Fred Lambert is a typeface reminiscent of the extremely narrow, sans serif stenciled fonts of the 1920s. The font is a commercial one and details about it can be found here. 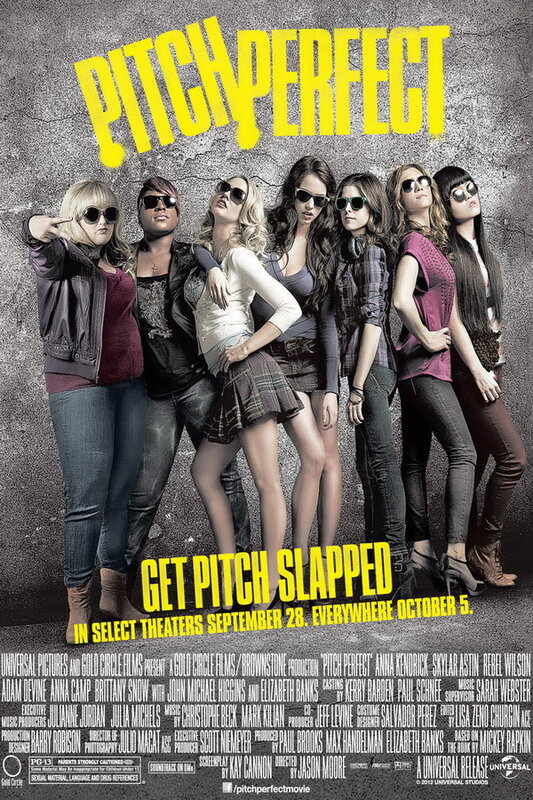 In addition to Pitch Perfect, Compacta typeface is also used in the following logos, movie posters or album covers etc., including: Burnout Paradise, Dirt: Showdown, How to Train Your Dragon, Pretty Woman, Harry’s Law, Team Fortress 2, Straw Dogs, 3 Backyards, Philadelphia, Wild Wild West, The Usual Suspects, Parental Advisory Label, The Apprentice, Borderlands, Disney Bolt.